An urgent marine weather report has been issued by theÂ Antigua and Barbuda Meteorological Services. According to Forecaster Dale Destin, “aÂ special marine statement for high surfs is in effect for the British Virgin Islands from 8 am Sunday; forÂ Anguilla from 12 midday Sunday and Antigua and Barbuda and the rest of the Leeward Islands from 2Â pm Sunday, March 4, 2018 until 4 pm Friday, 9 March 2018. “Northly swells will cause hazardous breaking waves (high surfs), life threatening rip currents and potentially flooding of some low-lying coastal areas. “High surf (sea-bather) warning is in effect especially for exposed and shallow coastal areas. 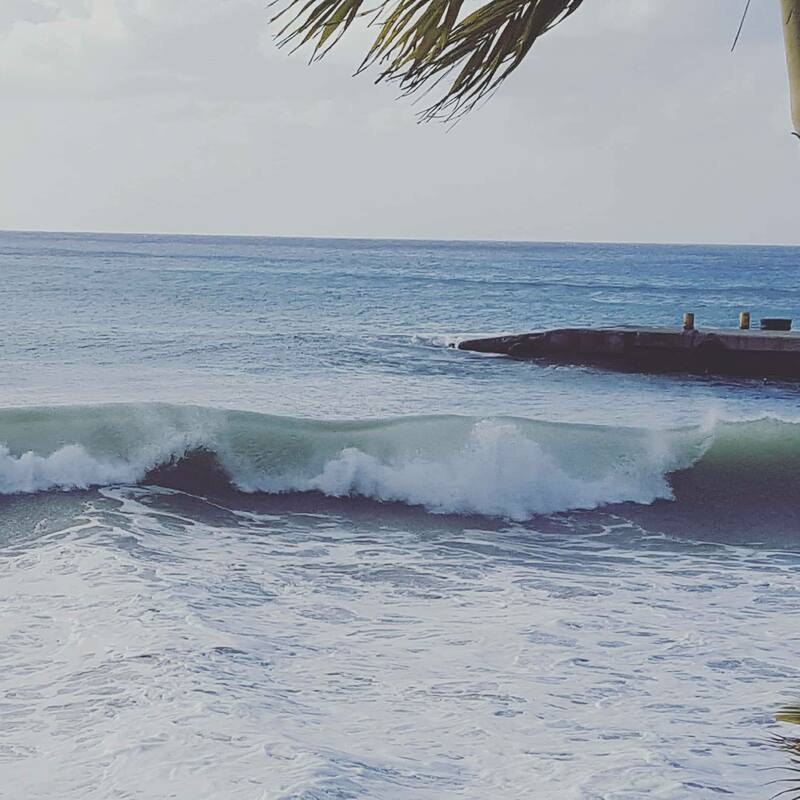 “High surfs (breaking swells): Seas of 2.5 to 4.5 metres or 8 to 15 feet and occasionally higher, withÂ breaking waves up to 5.5 metres or 18 feet, mainly on northern shorelines of the British Virgin Islands,Â Anguilla and Barbuda. “Coastal flooding: High tides combine with onshore wind and swell actions is expected to result in someÂ coastal flooding and beach erosion, especially around high tides. “Locations (to be) affected: Mainly exposed and shallow northern facing beaches of the region. The moreÂ northerly islands such as Barbuda, Anguilla and the British Virgin Islands will be especially impacted. Impacts (possible/likely): Loss of life – strong currents that can carry even the strongest swimmers out toÂ sea; injuries to beachgoers; beach erosion; sea water splashing onto low lying coastal roads; beachÂ closures; localized disruptions to marine recreation and businesses; financial losses; damage to coral reefsÂ and disruptions to potable water from desalination. High surfs can knock spectators off exposed rocks andÂ jetties. Breaking waves may occasionally impact harbours making navigating the Harbour channelÂ dangerous. Precautionary/preparedness actions: A high surf warning means that high surf will affect beaches in theÂ warning area, producing beach erosion and especially dangerous swimming conditions. BeachgoersÂ should avoid the waters, mainly on the northern sides of the islands. No word yet from the Access Division on how this will affect travel in the coming week.